I’m not sure what it is about 5-gallon pails, but I seriously use them for everything. They work great for storing rocks, sand, and dirt. Turn one upside down and you have an instant stepping stool or place to sit. Place another under a downspout to catch rainwater for flowers. Really, the uses are endless. But, what good are all of these uses, if your pails are all stacked together so tightly that they're seized, rendering them unusable! Fear, not my friends, I will teach you a little trick, so awesome that you will never have fused together pails ever again! This first task is the most difficult. If your pails are already stuck together, as mine were, you will have to diligently work on them until you can get them apart. I placed mine on their sides and pulled firmly on the handle until they came apart. Some of the pails took several attempts to get them apart. Sorry, I don’t have any tips to help you with the stuck pails, just good old fashioned elbow grease! These 2 pails love each other so much, they never want to part! Now, once your pails are all separated, you can restack them using this simple method. Start with 2 pails. 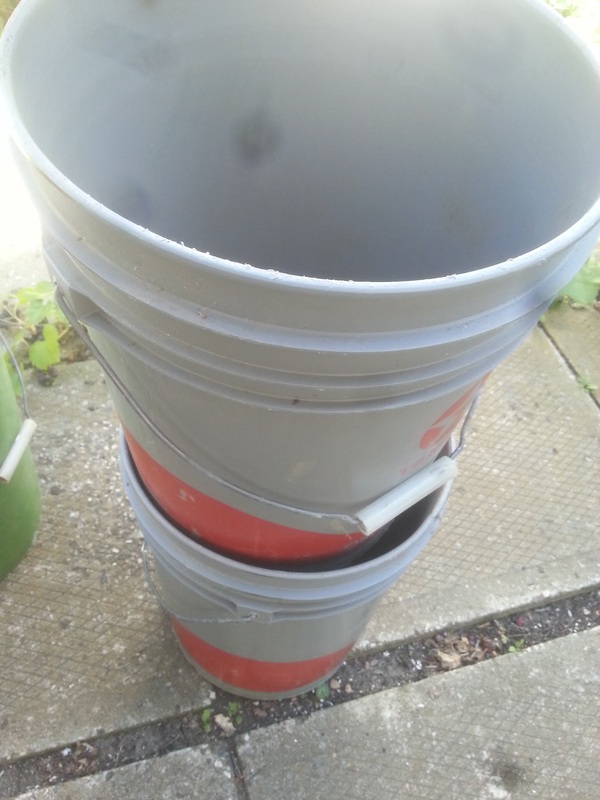 Begin to slide one pail into the other as you would if you were stacking them. 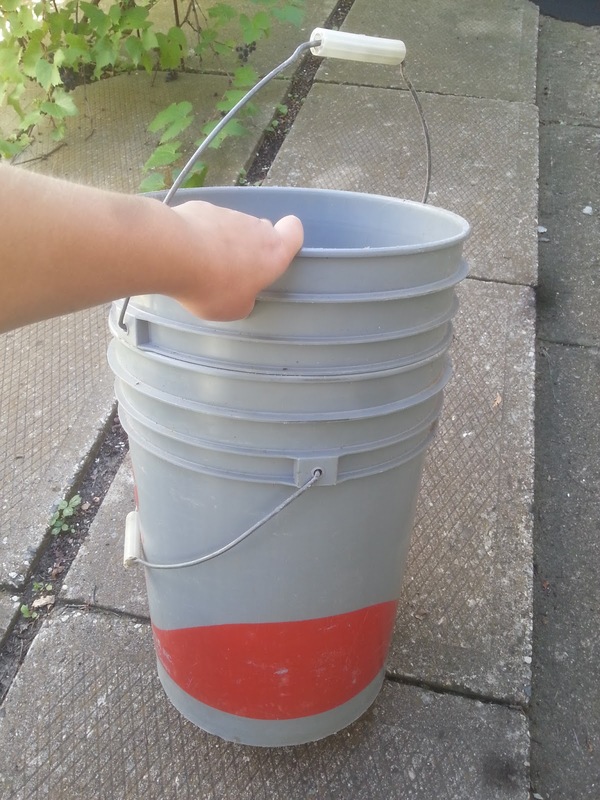 This time, however, make sure the top pails handle is down as far as it will go. 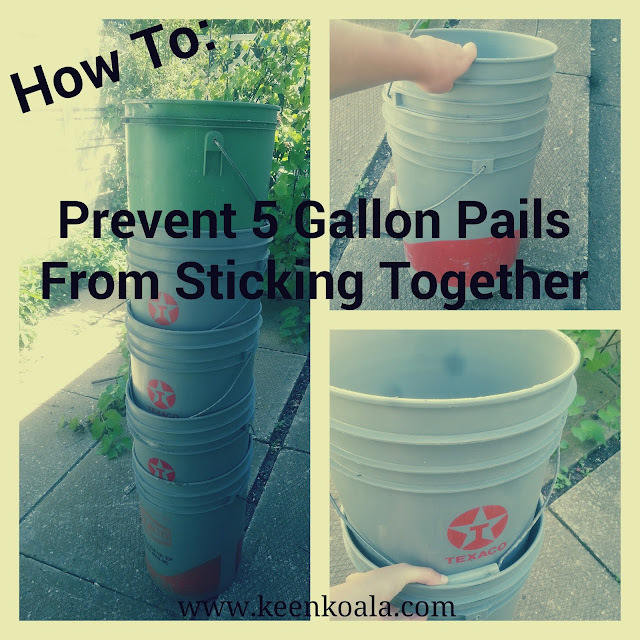 Force the plastic part of the handle into the pail below it as you lower the top pail. You may have to press down with a bit of force to really get the handle wedged in between the two pails. Wedging the handle into the lower pail will prevent the pails from fusing together. 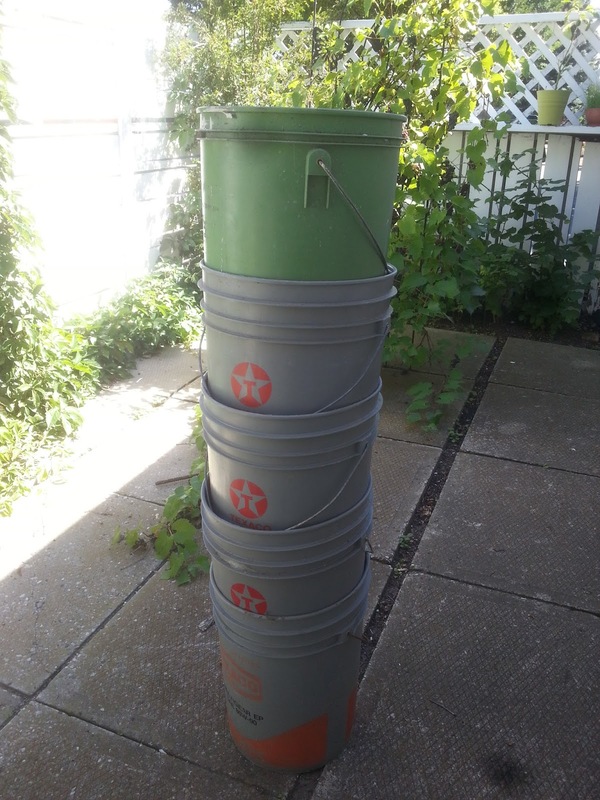 Then, add the next pail to the stack using this same method, and so on until you have stacked all of your pails! Then you can store your pails in your shed until you need them the following spring, knowing that they will be very easy to take apart when the time comes! Pails stacked the correct way! I hope you enjoyed this quick tip! 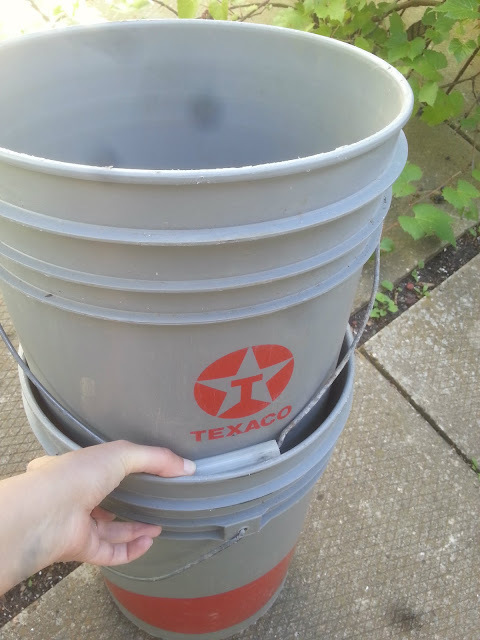 Do you have any tips or tricks as to how to get stuck 5-gallon pails apart from one another? Have you tried this tip to keep them free moving? Let me know in the comments below, I would love to hear from you. Please don’t forget to like Keen Koala on Facebook for access to the most recent posts, exclusive contests, content, and more! Click HERE!